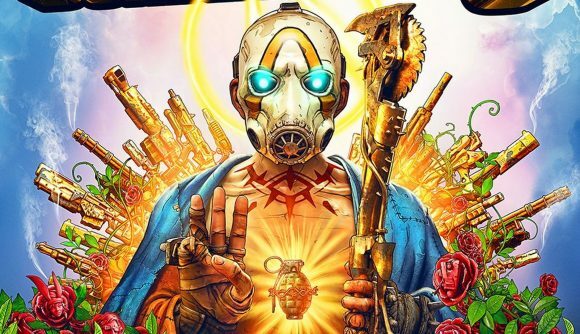 Gearbox CEO Randy Pitchford has weighed in on the latest review-bombing campaign on Steam, which is targeting the original Borderlands games in light of the announcement that Borderlands 3 will be a timed exclusive on the Epic Games Store. If you’re just tuning in, it’s a familiar story at this point: A game is announced as an Epic exclusive, and Steam users vent spleen in the reviews for the developers’ other games on Steam. You may recall earlier this year when this happened with Metro Exodus, and now Borderlands and Borderlands 2 are bearing the brunt of Steam users’ anger. Pitchford replied, saying that review bombing was emblematic of Valve’s hands-off approach to store curation. “Ironically, that this misuse is possible and that Steam has no interest in correct this misuse makes me kind of happy about 2K’s decision [to release Borderlands 3 on the Epic Games Store] and makes me want to reconsider Gearbox Publishing’s current posture on the platform,” he tweeted. It’s an understandable sentiment, especially from the perspective of a developer. But it’s not strictly true that Valve is turning a blind eye to the review-bombing phenomenon. Just last month, in fact, Steam implemented a system that automatically ignores ‘off topic’ reviews – in other words, the store detects sudden upticks in review activity and excludes those reviews from the aggregate score. In fact, that system has kicked in for the Borderlands games already, and the recent reviews for Borderlands 2 that Steam counts are 90% positive. Negative reviews still appear if you scroll down to read through them, but now they won’t impact the games’ overall ratings or – presumably – their discoverability. Still, Pitchford’s tweet hits on a sense of frustration other developers have expressed already with Valve’s automation-first approach to running Steam. At the moment, the plan is for 2K to eventually launch Borderlands 3 on Steam six months after the game first appears on the Epic Games Store, but it seems Pitchford is rethinking that arrangement for future Gearbox titles.